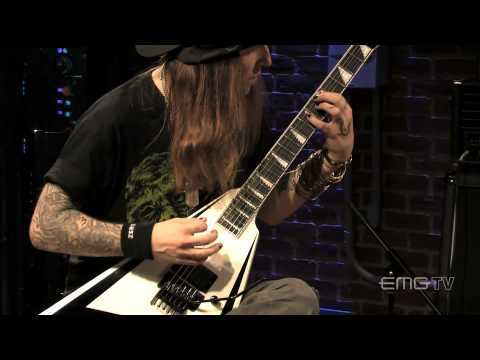 Celebrating the 20th anniversary of Children of Bodom - the ALX Signature "Halo of Blood" Set!! Available in blood-red with your choice of black, silver or gold pole pieces. 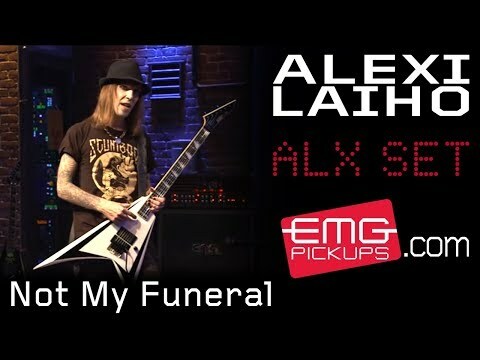 The Alexi Laiho signature model features a uniquely designed EMG passive humbucker that includes our ABQ EQ/Boost. The custom designed ABQ has a 3 band EQ which can be adjusted for creating different tone settings using a push/pull control (to activate/deactivate). In addition, the preamp output can be adjusted to add or reduce gain to your guitar signal. This pickup and preamp combo meets Alexi’s demands for high gain, versatility, and clarity to enhance his distinctive style. The set is available in a Floyd Rose version (F-ALX) and a standard Tune-o-matic version (ALX).